Jonathan Henderson – Coastal Resiliency Coordinator for the Gulf Restoration Network reports to us from the skies over the Gulf. This morning, Scott Eustis, GRN’s Coastal Wetland Specialist, and I boarded a small Cessna aircraft at Lakefront Airport in New Orleans and headed out on a 4 hour flight path. I was invited by Bonny Schumaker, the pilot for On Wings of Care to help document Whale sharks in the Gulf that had been tagged the week before. We also set out to revisit the Taylor Energy leak just a few miles off the tip of the Bird’s Foot Delta at N298 56.328; W88 58.049. You may recall that radar satellite images taken in June 2010 showed continuing leakage from a well about 40 miles from the leaking Macondo well that was the source of the BP drilling disaster. More on that in a minute. Unfortunately, we were unable to spot any whale sharks today, even though at least one of the sharks–named Bessy (after Bonny’s plane) had been recently tagged. Even though conditions were perfect for spotting from the air today, the massive sharks remained elusive. We were able to see sea turtles and hammerhead sharks. Yet, strangely not one of us was ever able to spot a dolphin. Normally, the area around Ewing Bank would be teeming with dolphins. Anyway, we did not spot any Whale sharks so I won’t spend any more time on that. We did, unfortunately, find success in the other part of today’s mission which was to document leaking oil. Yes, oil is STILL leaking from the site of Taylor Energy platform (Platform 23051) that was destroyed by Hurricane Ivan in 2004. 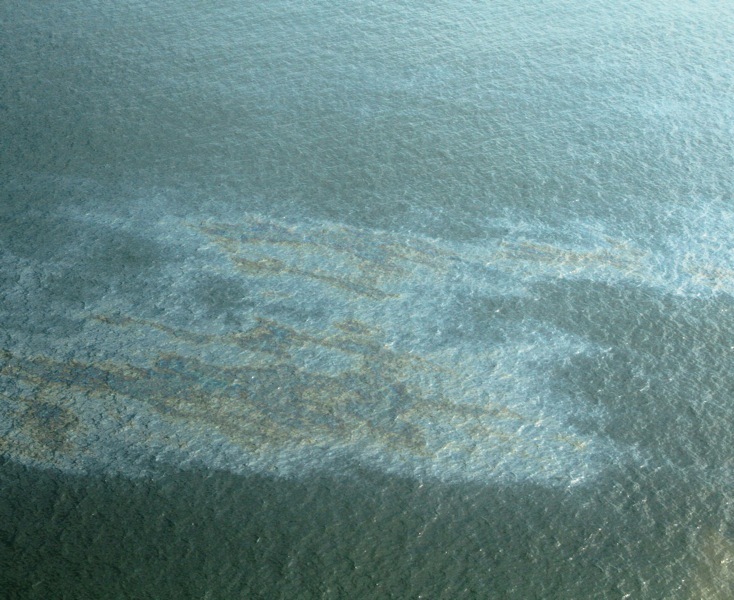 The ongoing leak gained national attention during the BP disaster after the government released detailed satellite images of the Gulf’s surface. Skytruth, a watchdog group that uses satellite images to monitor environmental problems, first called attention to the ongoing spill. You may recall reading their reports calling attention to the leak, which also received some media coverage from the Press-Register, NPR, and others. However, other than scant media coverage, since last year, little or nothing has been done to address this continuing problem. When you look at the images from today, you will notice that there is not one rig or platform in any of the shots. You won’t find any work boats or skimmers. In fact, the only thing you will find at the site today is a buoy marking the location and an oil slick that stretches for about 10 miles. See for yourself. 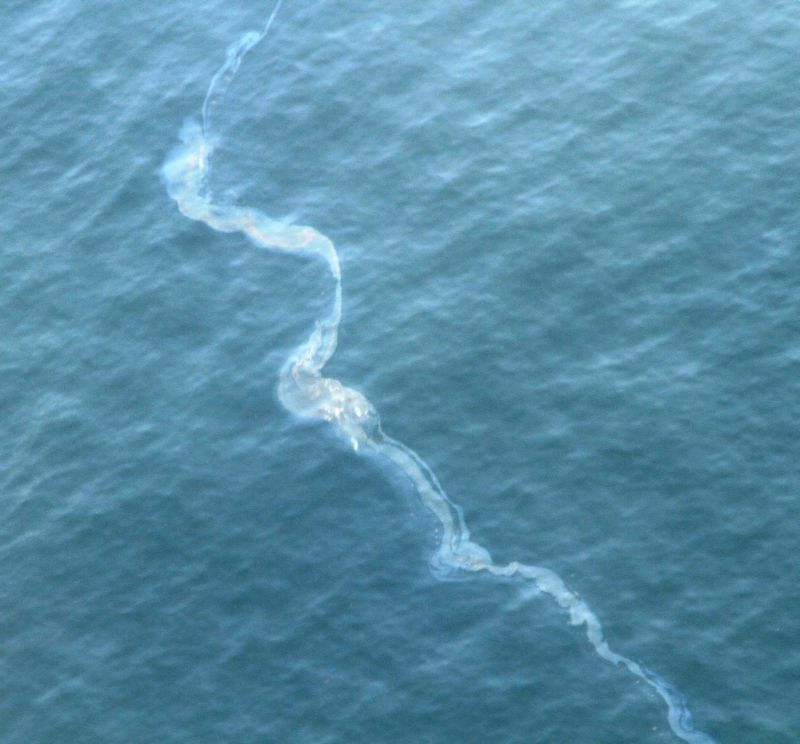 At different times over the last year there was a rig, the Ocean Saratoga, in the vicinity allegedly working to plug the leak. Not today. Where did the Saratoga go? Obviously there is still a problem. Many questions about this leak remain unanswered. Today when I returned I asked one of our legal interns to file a Freedom of Information Act Request to find out what the heck is going on. Why is it still leaking? Can it be stopped? Is there a timeline on stopping it? Has Taylor energy been fined for violating the Clean Water Act? If not, why not? Stay tuned for the answer to these questions. In the meantime, take action today by sending a letter to your member of Congress demanding that they take meaningful action to protect and restore the natural resources of the Gulf of Mexico. Click here to send a letter today.